Originally from Africa, Mari McGabe (voiced by Megalyn Echikunwake) grew up and orphan after her parents were killed by local greed, corruption and wanton violence, But Mari to succumb to the terrors surrounding her. Inheriting her family's Anasi Totem, Mari can access the powers of animals - anything from the super - strength of a gorilla to the speed of a cheetah. 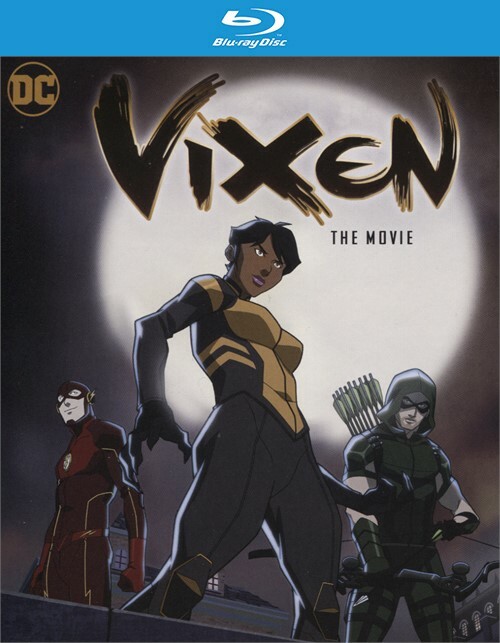 As Vixen, she fights valiantly to protect the world from threats like those that claimed her family. From executive producers Greg Berlanti (Arrow, DC's Legends of Tomorrow, The Flash), Vixen also features the voices of Arrow, The Flash and DC's Legends of Tomorrow stars Stephen Amell (Oliver Queen/Arrow), Great Gustin (Barry Allen/The Flash), Emily Bett Rickards (Felicity Smoak), Carlos Valdes (Cisco Ramon), Victor Garber (Dr. Martin Stein), Brandon Routh (Ray Palmer/The Atom) and Katie Cassidy (Laurel Lance/Black Canary) as characters from the live-action series. 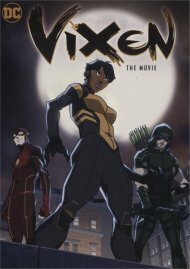 Vixen: Spirit Animal - Some of the Greatest Challenges our super heroes have to overcome are the ones that Originate from Within, This Documentary will explore these Themes that are found in the Animated Adventures as Mari the Secrets of her Anansi Totem and her Past. 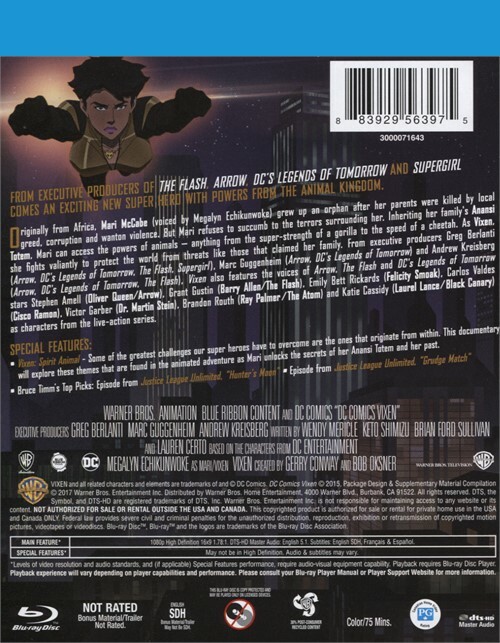 Episode from Justice League Unlimited, "Grudege Match"
Reviews for "Vixen: The Movie"